Tamara Linse’s short fiction is beautifully colored by the state of Wyoming, where she was raised on a ranch and still lives today. 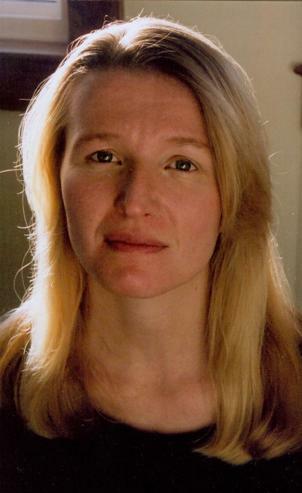 Her work has been a top-five finalist for the 2009 Arts & Letters Prize and has been featured or is pending in the Georgetown Review, Word Riot, Slow Trains, Talking River, and a host of others; a book of her short stories semifinaled for Black Lawrence Press’ 2008 Hudson Prize. She holds bachelor’s and master’s degrees in English from the University of Wyoming, and she’s hard at work on a novel based on Shakespeare’s Twelfth Night but set on a Wyoming ranch. Want to know more about Tamara and read her work? Visit http://www.tamaralinse.com. In this post, Kristi suggested I might address the age-old questions: What inspires your work? What motivates a writer? How does life affect your writing. In short, why do I write? At first I resisted this topic, for all the usual reasons. I’ve answered it before, it requires lots of deep and painful thought, it’s hard to express, and it’s been answered so skillfully by so many writers that what did I have to add? It was precisely this last reason that prompted me to attempt it. First of all, the fact that so many people ask and answer this question points to something deep and abiding. It’s a question that haunts people. They ask other people because they don’t understand it within themselves. Not that I have any claim to understanding. It’s the second part of that last reason that got me. Do I have anything to add? It struck me not so much because I may or may not have anything to add but because that question is one of the reasons I write. I grew up feeling like I had no voice, that my thoughts and opinions didn’t matter, that I didn’t matter. I was invisible. The feeling persisted well into my twenties. Since then, I’ve realized that there really aren’t any new ideas, but that’s okay. The point isn’t to say something new or to add something. The point is to say something. The only thing that is unique ~ in its true sense of “only one in all the world” ~ is you and your collection of experiences and voice. That’s what you bring to the table. Therefore, if you touch just one other person the way what you’ve read has changed your life, it’s worth it. It’s not about the new; it’s about connecting with other human beings. So let me begin ~ um, continue ~ by answering the question directly. Why do I write? Here’s the answer on my website: “Because it’s my passion. Because as a child I felt I had no voice. Because I love to read, and writing is like reading only better. Because I have to to stay sane—just ask my husband. Because I’m fascinated by people, and writing and reading is the closest you can get to another person’s consciousness.” All of this is true, and I could go on at great length about each item, but I want to get at something deeper and more universal. Let me start with three examples. My dad had a coin collection. If memory serves, it was a wooden box filled with beautiful coins from across the world, and my three-year-old heart yearned to possess it. I wanted it so badly that, despite repeated warnings, I crept into the bedroom and took it and hid it. One of my first memories is of crouching on the passenger side of the car at night in terror as my dad strode by shouting my name. My last boyfriend before I started dating my husband left me to become a cowboy. It’s not that he wanted someone else; he just didn’t want me. We had been dating for three years and had lived together for a year or two. He did not break it off with me, however, but instead just moved away. I was the one who made the ultimatum: move back or we’re through. I understand now why he did it that way ~ I was a little unstable at the time ~ but the sense of missing him and wanting him back was so strong it was physical. I felt it in my roiling stomach and in the knot in my chest and in the twanging rubberbands of shoulder muscles and in tension headaches. There is an image fixed in my mind of my husband in the pantry looking for something to eat. It was an ordinary day, and we hadn’t planned anything for dinner. Often, before having kids, our schedules would offset and so I would feed myself and he would feed himself. And it’s not like we’re ever particularly hungry. We live very comfortably. But what is fixed in my mind is the look on his face ~ one of pure naked childlike desire. It’s hard to describe in concrete terms. Maybe his forehead was wrinkled a bit, his eyes were wide, and his lips around his downturned mouth worked just a little as he imagined what things would taste like. What these three instances have in common is that they’re all about desire. All people everywhere live in a constant state of desire. It is truly a human condition. Whether it’s something as small as a snack or something materialistic or something as large as a mate for life, people want. People need. One reason that we are such good consumers and why advertising works so well is because we by our very nature have this endless hole within us that needs to be filled. Every religion is built on this. So, this is my deeper answer to why I write: Because I’m human. Because I desire. It’s a way to take the world into myself and to make it part of me. It’s a way to place myself into the world. It’s a way to connect with the world and with other people and to imagine for one small moment that we are not alone and that we have the capacity to be full and content. Posted on May 24, 2010, in Deep Thoughts & Fun Stuff and tagged Georgetown Review, Recovering ranch girl, Slow Trains, Talking River, Tamara Linse, Word Riot, Writing, Wyoming. Bookmark the permalink. Leave a comment.